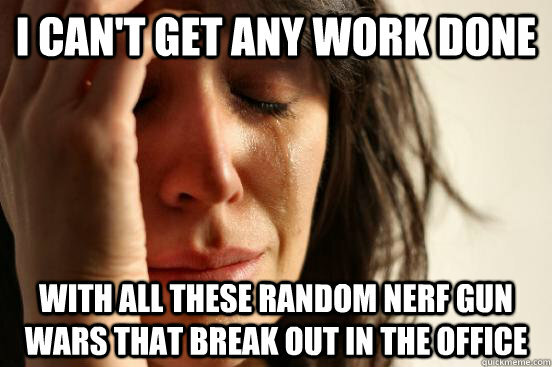 Last week, during a rare lull in calls, one of my co-workers broke out the Nerf guns. She, of course, aimed into the boss’s office first. 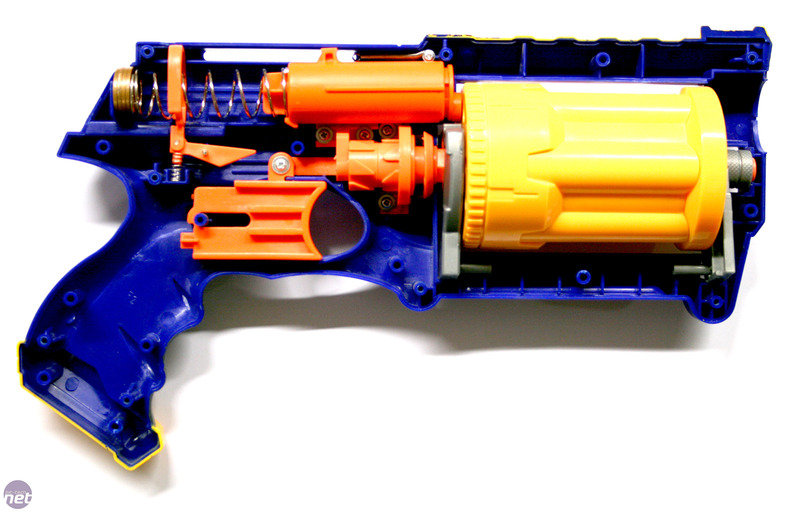 You try to not scream when one of those bullets comes flying over the cubicle wall at you while you’re on the phone. Of course, you realize, this means war. 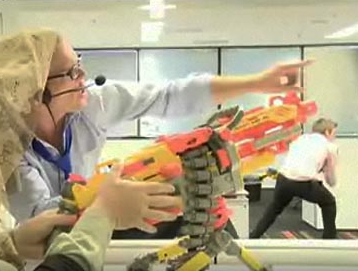 man, I wish WE had nerf gun wars in our office. We get lots of fire and flack but none of its fun….